DJ Khaled latest album, Grateful has just gotten its first major plague after it went platinum in just 2 months. The business mogul could was happy about his new achievement, and took the news to Instagram to announce the latest news and also appreciate his fans. MY SON WAS BORN ON oct #23 my album #GRATEFUL came out June #23 Now my ALBUM IS PLATINUM ON AUGUST #23 and And my son turns 10 months today,” he wrote. “And the the album has #23 tracks and I got my own @jumpman23 safe to say #23 is special # .. FAN LUV WE DID IT !!! #DJKHALED #GRATEFUL ALBUM OFFICIALLY PLATINUM!!!!! Wild thoughts (featuring Rihanna and Bryson Tiller) and “I’m the One” (featuring Chance the Rapper, Justin Bieber, Quavo, and Lil Wayne) both went platinum, while the first track on the album, “Shining” (featuring JAY-Z and Beyoncé) went gold. 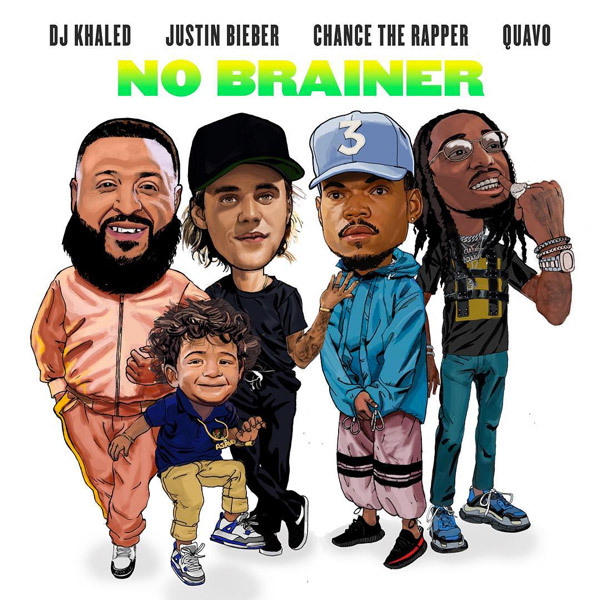 The "Grateful" album has now surpassed the "Major Key" album, which was also successful, and had went Gold in 2017. It’s just a very romantic love song, What I’m trying to do here is a combination of emotional parts and the energy of crazy electronic dance beats. That’s what I do, and that’s what I like. I like making the people dance, but with a tear in their eyes. Justin Bieber turned down $5 million to perform at a Republican event during the GOP convention. According to confirmed sources, promoters reached out to Justin Bieber that he would perform at a venue near Quicken Loans Arena, and Justin does not need to endorse Donald Trump or any GOP policies. According to the deal, money would be paid upfront before Justin perform at the event, and the GOP donors would also cover production expenses. According to the contract, the show was bankrolled by GOP donors. This would have been a single biggest payday for Justin Bieber, but his manager, Scooter Braun, and Lebron James talk him out of it, though he seriously considered the offer as he is a Canadian and not involved in US politics. Scooter Braun is a big supporter of Hillary Clinton, and once had a fundraiser event for the Democratic party nominee in his L.A home, and he believes that the offer is political, regardless of its representation. He also told Justin he would quit being his manager if he takes up the gig offer. Sources revealed that Justin would perform if he could the banner "Black Lives Matter", but the idea was immediately rejected by the donors, instead said that he could display a banner that says "All Lives Matter", and he could also o ahead and say any thing on stage, even if it insults Donald Trump. Justin Bieber has released a new video showing some of the highlights of his music tour, album recording and fun he had, all packaged in his new video "Company" off his "Purpose" album. The video is directed by Rory Kramer, Justin personal videographer. Personally, I love this video because it’s an honest look at my journey. The process of putting together this album and this tour—surrounded by people I love to be with—has been really special. I’m proud of it, it’s been a lot of fun and lot of hard work, and I think that really shows in video. I hope my fans like it as I much as I do, because it’s really all for you. The Naija Boyz, known for their African version of different worldwide hit songs have done it again with the remix of Justin Bieber new song, Sorry, a track in his recently released "Purpose" Album. 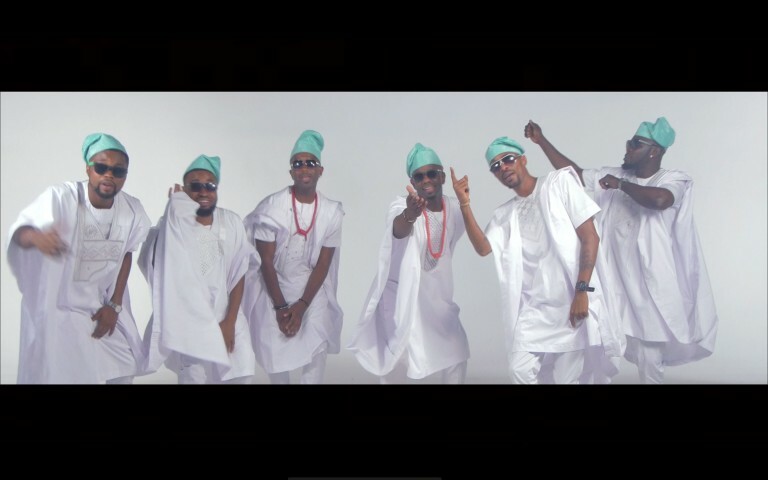 The new video shows the Naija Boyz with the Yoruba demon, known for breaking the lady's heart. The video, like every other Naija Boyz video is hilarious. Justin Bieber has announced he will be dropping his new album "Purpose" in six weeks, the singer took to his Twitter handle yesterday and announced the album release. 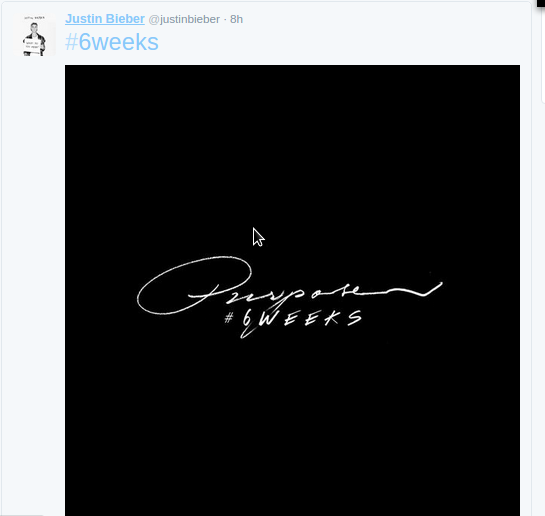 He also posted pictures of the album countdown on his social media account. The Justin Bieber song, "Where are you now", a collaboration with Jack U, remains in top 20 in the Billboard hot 100. One of the track producers, poo Bear have now released the original version of the song, which is supposedly will appear on Justin Bieber album.